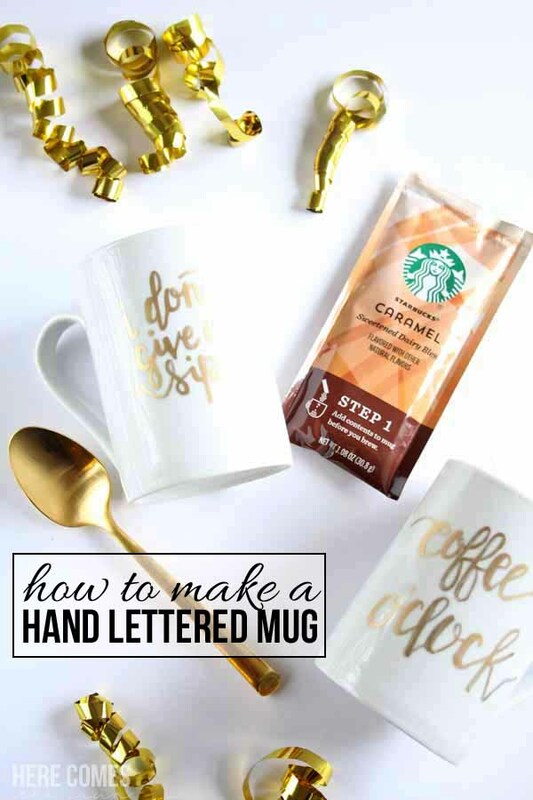 I’m so excited to be teaming up today with other amazing bloggers to bring you everything hand lettered! 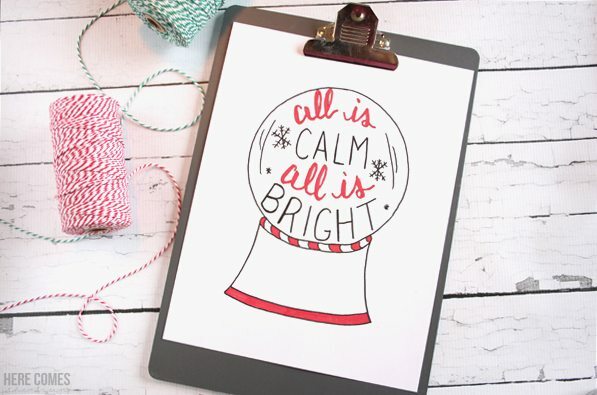 I’ve got 11 Holiday themed hand lettering projects for you. You can find my snow globe coloring page and hand lettering tips below with links to all 11 tutorials at the end of this post. 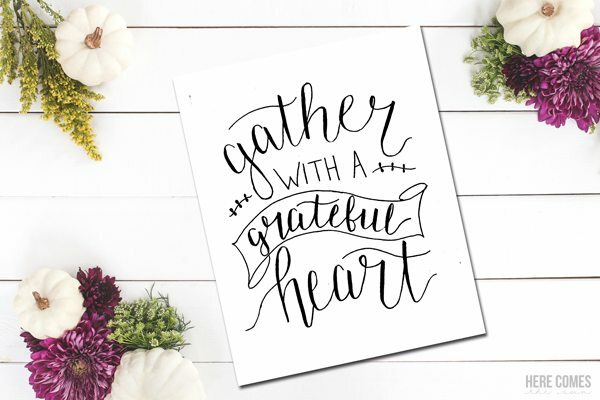 This is a free printable for you to download. I have created two versions for you. 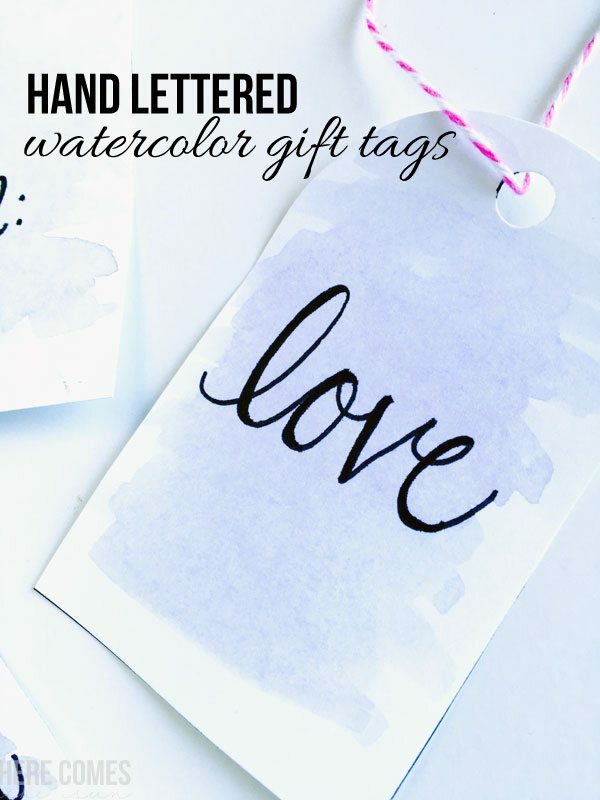 One version is a printable (all black and white) and the second version is a coloring page (letters outlined so you can color them however you want). Please note that this printable is for personal use only. It may not be sold or redistributed. 1. Use a pen specifically made for brush lettering. You could letter with a regular marker or a Sharpie but that will that make it more difficult. My favorite brush pens are currently Tombow Dual Brush Pens. I like them because they have 2 tips. One is a flexible brush and one is a thinner tip perfect for detail work. 2. The key to hand lettering is using thick downstrokes and thin upstrokes. To master the thick downstroke, place pressure on the pen and drag it down your paper. For the thin upstroke. release the pressure on the pen while still maintaining contact with the paper. 3. Practice. Practice. Practice. Brush lettering takes time to master. I’ve been practicing on and off for about a year. I’m no expert but I feel like my lettering is getting better the more I practice. Two books that have helped me with my hand lettering are Creative Lettering and Beyond and The Complete Book of Chalk Lettering. You can also find practice sheets from my blogging friends, below. 4. Study the experts and then find your own style. Will your style be big and full of flourishes or more simple and refined? Everyone has their own way of hand lettering. Your style may change over time as you are learning but you will soon find your own unique way of lettering. I hope you’ve enjoyed these hand lettering tips. Don’t forget to pop over and check out all the other awesome hand lettering tutorials and worksheets from my blogging friends! Comfort and Joy Printable by Kleinworth & Co.
OMG Kelly- this is SO CUTE!!!!! !